. "Art Gallery of Alberta". The Canadian Encyclopedia, 19 July 2016, Historica Canada. 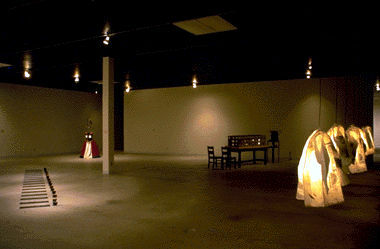 https://www.thecanadianencyclopedia.ca/en/article/art-gallery-of-alberta. Accessed 25 April 2019. Hopes of constructing a new building for the gallery's growing collection came to fruition in 1962 when Mrs. A.E. Condell bequeathed funds for a new gallery in the name of her son, Arthur Blow Condell. Architects Donald G. Bittorf and B. The Art Gallery of Alberta was established in 1924 as the Edmonton Museum of Arts and held its first exhibition, a show of 24 works borrowed from the National Gallery of Canada, in the Palm Room of Edmonton's Hotel Macdonald. 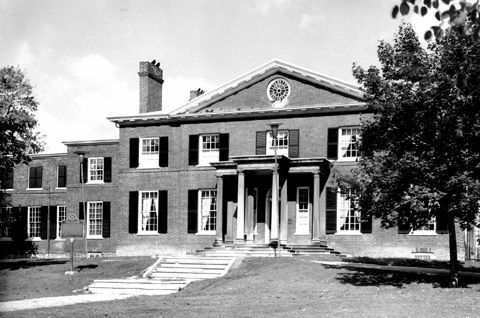 The museum occupied various sites before moving in 1952 to the Richard Secord House, a turn-of-the-century mansion overlooking the North Saskatchewan River Valley, and in 1956 it officially changed its name to the Edmonton Art Gallery. 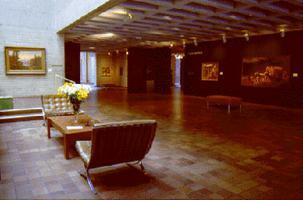 In 2005 it was renamed the Art Gallery of Alberta. Hopes of constructing a new building for the gallery's growing collection came to fruition in 1962 when Mrs. A.E. Condell bequeathed funds for a new gallery in the name of her son, Arthur Blow Condell. Architects Donald G. Bittorf and B. James Wensley were contracted to design the building, and in April 1969 the new home of the Edmonton Art Gallery, sited in the centre of the city on Sir Winston Churchill Square, was opened to the public. The building, which featured expansive exhibition, storage and educational facilities, was later enlarged when a new wing was added in 1977 to replace the exterior courtyard. The Gallery moved into a major new phase of its history in 2005 when, after an international architectural competition, Los Angeles-based Randall Stout Architects, Inc was selected to design a new building for the AGA to replace the old structure on Sir Winston Churchill Square. The new building opened on 31 Jan 2010, with a total area of nearly 8000 sq m, of which nearly 3000 sq m is devoted to climate-controlled exhibition space. With a dramatic exterior design that has attracted national attention, the building accommodates a restaurant and espresso bar, a gallery shop, and a 150-seat theatre along with an expanded education facility, known as the Singhmar Centre for Art Education. The most important gift to the permanent collection occurred in 1976 when the Poole Foundation donated 100 major Canadian paintings and sculptures, including works by Emily Carr, J.W. Beatty, Maurice Cullen, Paul Peel and many others. Since then, the gallery's holdings of Canadian and international contemporary and historical art have increased, with the AGA currently boasting over 6000 works valued at approximately $30 million. The gallery has an active exhibition program that, with more than 30 exhibitions a year, highlights Alberta art in the context of Canadian and international art of the last hundred years.